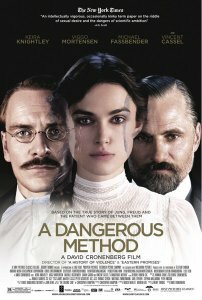 Southeast Florida Association for Psychoanalytic Psychology - SEFAPP At the Movies Presents: "A Dangerous Method"
SEFAPP At the Movies Presents: "A Dangerous Method"
Presenter: Donna Bentolila, LCSW, Ph.D. Presentation Info: Click here to view/print the full brochure. (1) Describe the role of women, Sabina Spielrein in particular, in the early history of psychoanalysis. (2) Understand the role of transference and countertransference in any analytic setting as well as the need for analysts to analyze the unconscious logic and determinants of their desire. (3) Understand the theoretical merits of the "destructive" or "death -drive" for psychoanalytic theory and treatment. Note: All late fees have been waived for Sunday Symposiums. Please RSVP by 10/17/13 for planning purposes and pay via check or cash at the door.